Performed by The City of Prague Philharmonic and London Music Works, this comprehensive 6 CD collection features music from the latest Sci-Fi blockbusters; from Ready Player One, Solo: A Star Wars Story, and Blade Runner 2049, all the way back to 1950s classics The Day The Earth Stood Still and Forbidden Planet. 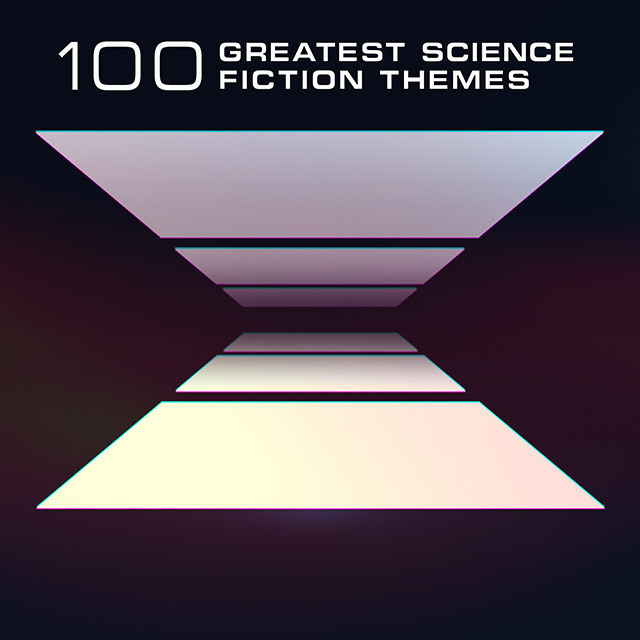 This release brings together the best selection of Science Fiction music spanning almost a century, through a thorough overview of musical styles, themes and techniques. It spotlights music from Hollywood heavyweights and classically trained legends (John Williams, John Barry, Ennio Morricone, Bernard Hermann), electronic experimenters (Bebe & Louis Barron, Vangelis) and Jazz influenced composers (Bill Conti, Henry Mancini) to the new generation, who combine orchestral sounds with electronics (David Arnold, Johann Johannsson, Ramin Djawadi, Steve Jablonsky, Hanz Zimmer, Clint Mansell).